UPDATE: A WINNER OF THE HEATHMAN HOTEL GIVEAWAY HAS BEEN CHOSEN. CONGRATULATIONS TO JOSIE DE GUZMAN! AND THANK YOU SO MUCH TO ALL THE OTHERS WHO ENTERED. 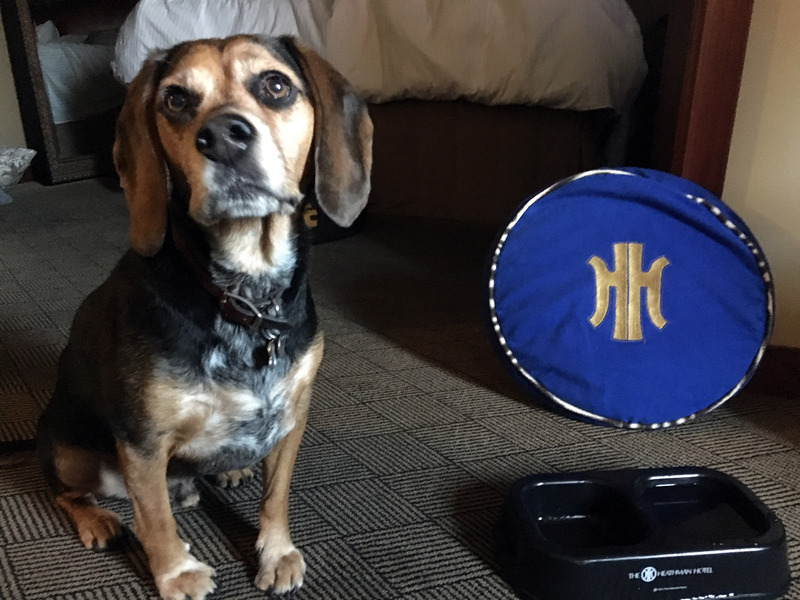 From a human perspective, staying at the Heathman with Spike was a pleasure! From the moment you arrive, when Zelda in her little beefeater costume greets you with fresh water, to the moment our doggy care package arrived at the door (bed, bowl, treats and waste bags) and for the rest of the stay, Spike was treated like a guest, not an inconvenience. It helped us relax and I think it helped him too. The only tricky part about visiting with a dog is finding food for yourself. Pets are not allowed to be left alone in rooms so you need to take them with you for meals. We considered ordering room service from Headwaters, their beautiful new restaurant, but that’s not really our style. We like going out. So Spike came along with us to Lardo, where they have a covered outdoor eating area. Everything was pretty much perfect for our stay, but Spike had one little mishap: a full body wipe-out when he tried to jump onto the exceptionally tall bed in the hotel room. He’s not a puppy any more. Other than damaging his pride, he’s fine. 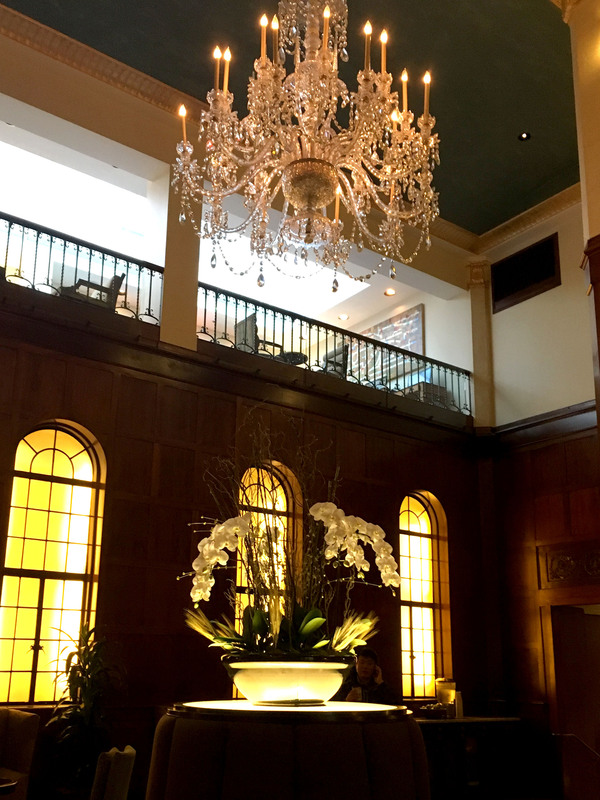 This is my second stay at The Heathman (you can read about my previous visit here) and I think I enjoyed it even more. It’s starting to feel like home, and I really like that. 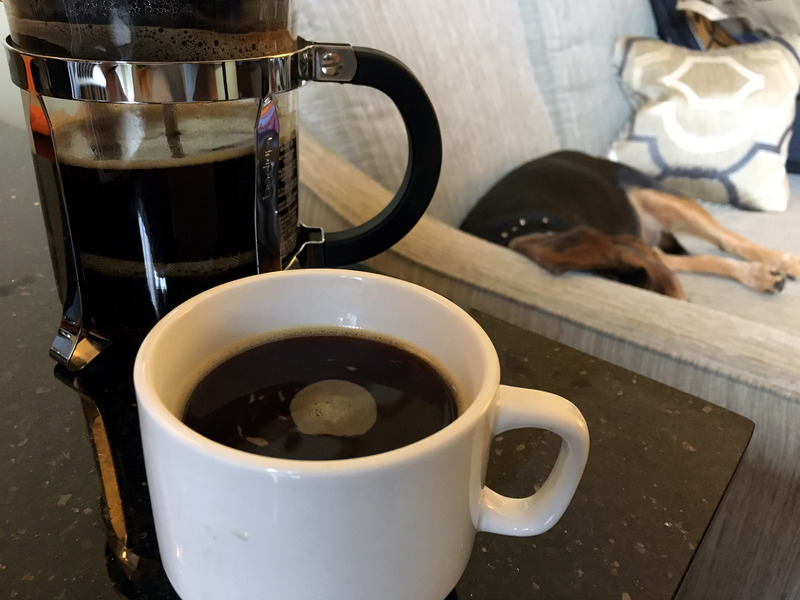 I slept SO WELL and loved having a late checkout time, so we could really lounge around watching football and drinking coffee. Now… the best part of this post: Your chance to stay at the Heathman Hotel! I’m giving away a one night stay to one lucky reader! All the rules and conditions are included in the Rafflecopter widget below, but the gist is: you need to be 18 years or older and a US resident to enter. Easy peasy. I’ll be announcing the winner on November 25th AKA Black Friday AKA Gilmore Girls Day. Thanks for reading and good luck! That Spike sure is a cutie! My old man Ripley used to be quite the adventure pup but these days he is enjoying his retirement. This kind of pampering sounds like something he would enjoy! Thanks for the chance! We are actually having Thanksgiving dinner there so it would be so cool to stay there and be near the Macys day parade too! Excited! Love the Heathman! Hope I win! I spoil my cats by buying them little treats or toys when I go to Petsmart. haha. I like taking my dog Karl to hotels – he loves the elevators though it always confuses him! I’m back in Portland after a long time and am enjoying exploring the city. I would love to check it out! We treat our dog with a long hike with lots of extra food treats along the way.